On December 3rd & 4th, the Everett Farmers Market scheduled our fourth Annual Holiday Craft Fair and Market in conjunction with the Port’s “Holiday on the Bay.” This year, we decided to expand to a two-day event to enhance the Community’s Holiday experience, and provide local business entrepreneurs the opportunity to showcase their talents and merchandise for an extra day during the Holiday Season. All went well on Saturday with a great crowd, Thank You, and thirty-six wonderfully talented vendors filling our two large canopies. During the early Sunday morning hours, a strong wet weather system began to batter our canopies with heavy rain, and by 2:30 a.m., the winds were howling and shaking our venue to the core. 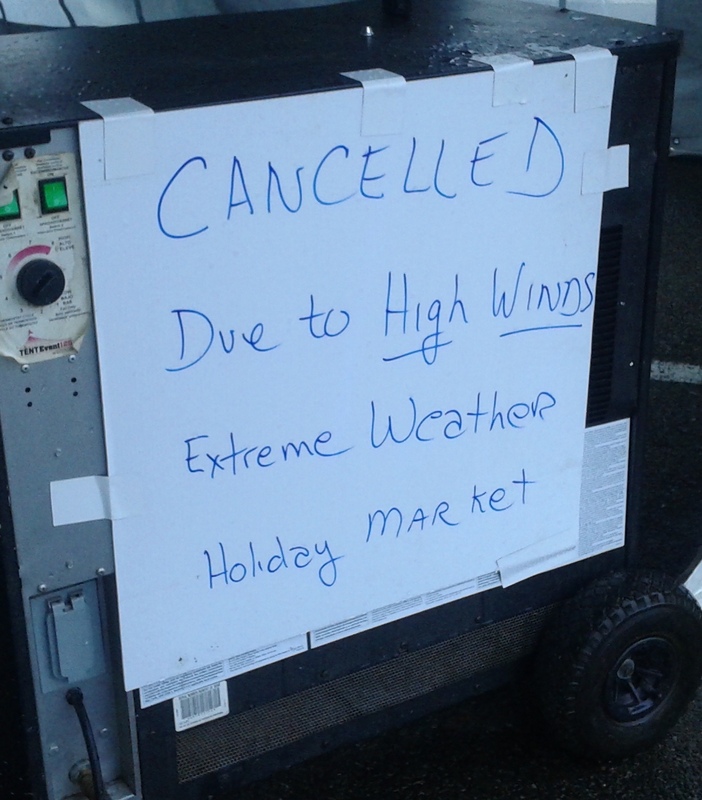 We worked all night to preserve the integrity of our canopies, but by early morning when the winds had not subsided, the canopies compromised, and several vendors’ merchandise damaged, we made the decision to cancel the second day for the safety of vendors and customers alike. We sincerely regret this cancellation and apologize for the lack of notice. We understand the disappointment all of you certainly must have felt after you braved the hail and wind only to find us cancelled and closed at noon on Sunday. 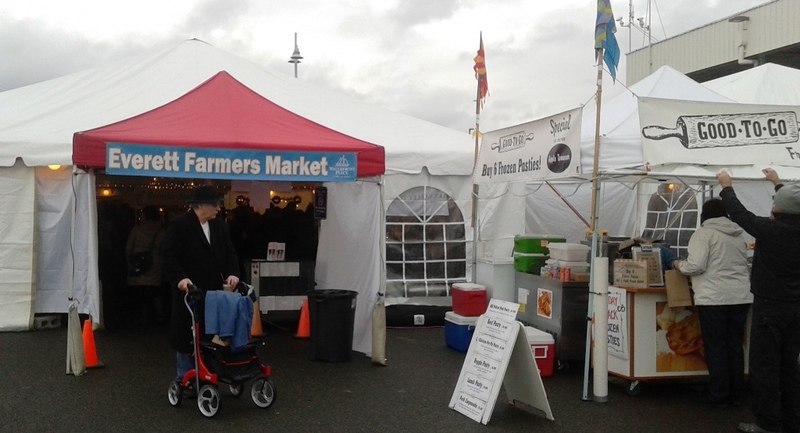 The Everett Farmers Market immensely appreciates your dedication. Do click here to see the list of Vendors who were in attendance, and feel free to contact them when it comes to your local holiday shopping. We look forward to seeing all of you in the Spring for Opening Day 2017, and wish everyone a Very Special Holiday Season.